I designed this family room for a family with young children. It is connected to the kitchen where, as we all know, whether it is a Tuesday afternoon, cocktail party or toddler play date, is where we inevitably gather. We wanted the space to be fabulous enough to entertain in but cozy enough to hang out in and play board games on snowy days. 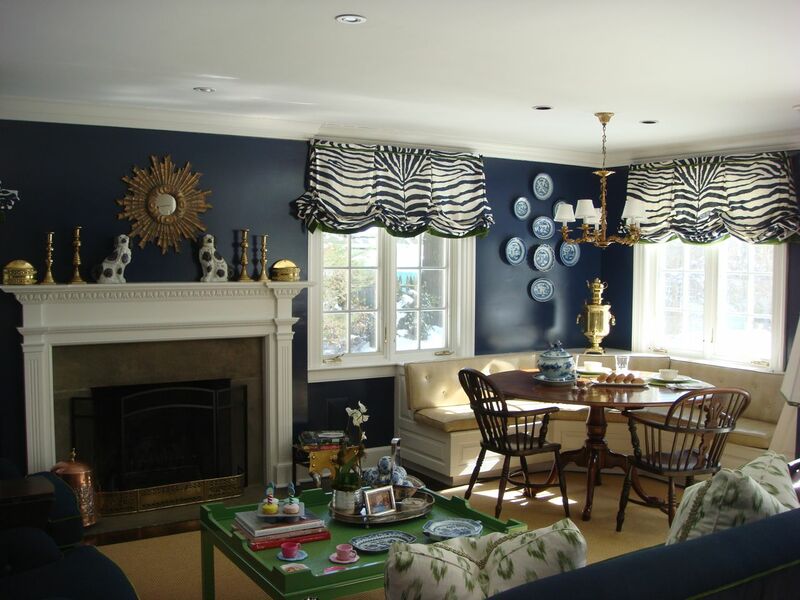 The dark Navy walls counter the “whiteness” of the kitchen and make the space feel warm and inviting and the navy zebra stripped linen on the windows keep the space young and fun. 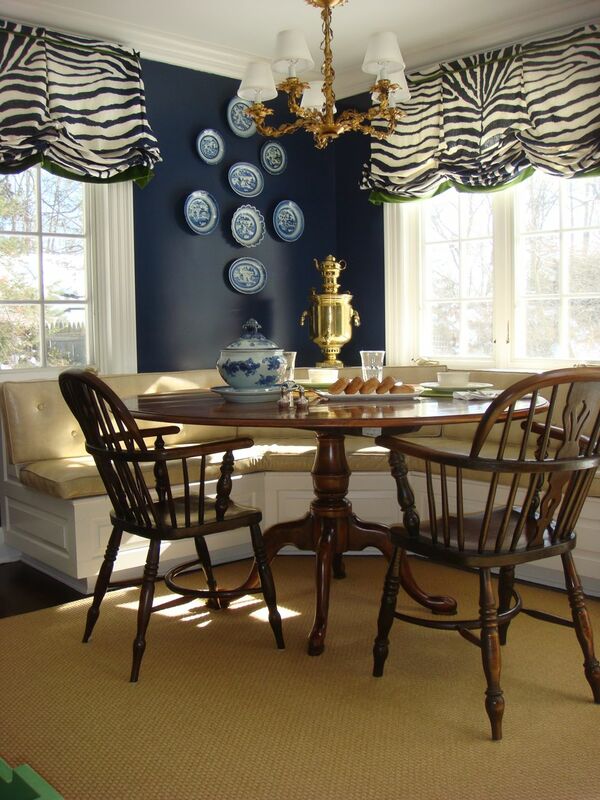 ~banquette upholstered in fabulous faux snakeskin – spill spaghetti sauce and just wipe it off! ~this rug is truly magical. It looks like sisal but is softer and EVERYTHING (think red wine, doggie do-nots) comes out of it! ~put the punch in the details. 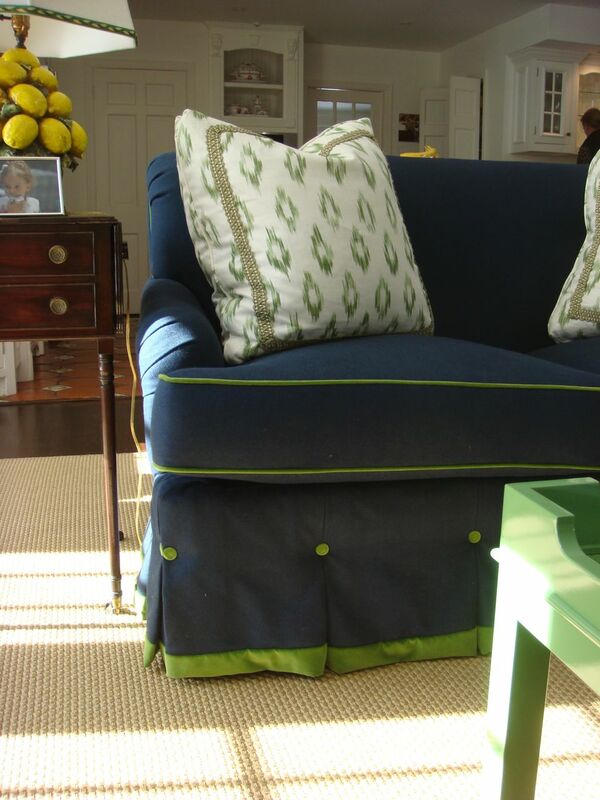 The tailoring on the sofa and club chairs adds a detail that makes the room feel special but won’t be effected by boisterous pizza party or sleepover. ~a big coffee table for tea parties, cocktail parties and holding loads of gorgeous books, I love the color too! ~delicate pieces like antique plates and mirrors have a happy home on the wall — a safe spot! 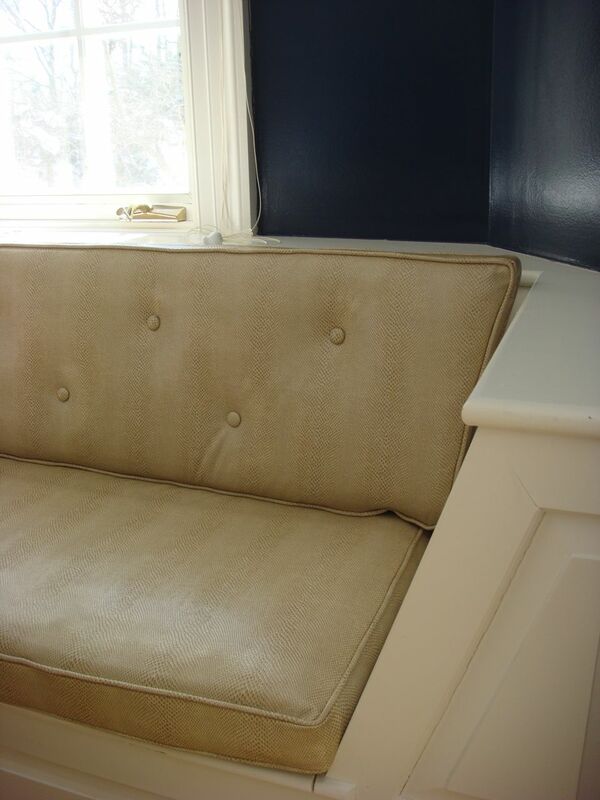 ~We chose a navy linen for the upholstery – it hides everything! ~antiques, use them! They have withstood over a hundred years of children, pets, moves and more…they can surely stand up to your crew! ~Storage! There is never enough! This Welsh Dresser hides art projects and games for easy access and the banquet seats lift up to stash loads blankets, board games and art supplies! 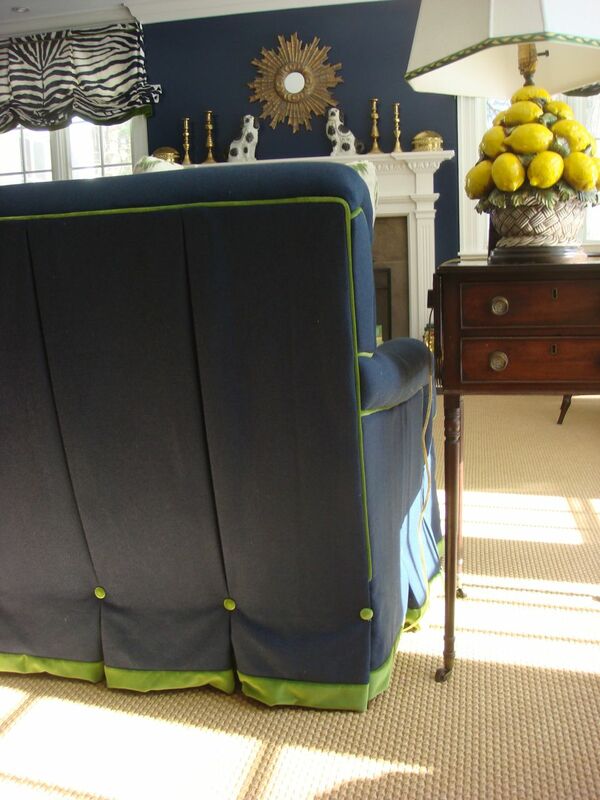 *my other favorite trick is to have a box upholstered in a fabric that works with the space and use it to hide toys, stacks of reading, games…so it is handy when you want it hidden and when you don’t! 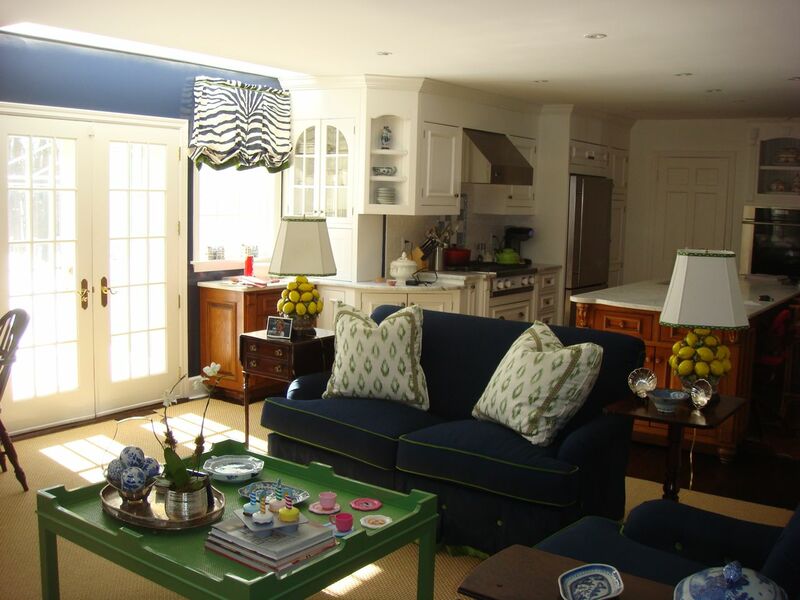 There is a spot in this family room to eat, play, chill and snuggle up with a good book! 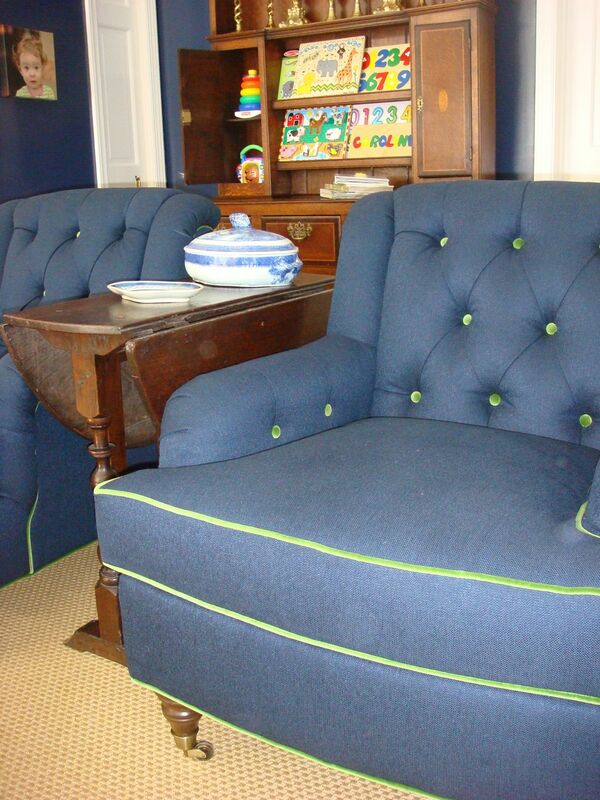 Tailoring is an easy way to add “wow” that doesn’t get in the way of really living in a space. Notice the 18th century Welsh Dresser, a great storage spot! Wipeable leather is an easy way to add some “wow” to a space and still invite in lots of living! With coziness so close you won’t perch on a barstool!